Betsafe is not available to US players. Betsafe is a well-diversified online gaming company. It has been online for over a decade. The Betsafe poker room began on the Tain Network. It shared players with sites like Victor Chandler, Eurolinx and DoylesRoom. That network collapsed when it banned US players after the UIGEA went into effect. Betsafe eventually moved to Cryptologic. When that network began to fall apart, it moved networks again. Betsafe Poker is now on Microgaming. There was a time that it also operated an Ongame skin alongside the Microgaming one. Betsafe closed its Ongame skin on April 1, 2016. Betsafe is one of the best options on the Microgaming Poker Network. That is because Betsafe has a long history of paying players quickly and offering awesome promotions. This includes the maximum allowable Microgaming rakeback percentage. Betsafe also offers great first deposit and reload bonuses, as well as monthly races that award bonuses and cash. Betsafe has been on many poker networks. That can sometimes be a sign of instability. That is not the case with Betsafe. The company has moved to give its players a wider game selection. Each of its moves was from a network in decline to one moving in a better direction. 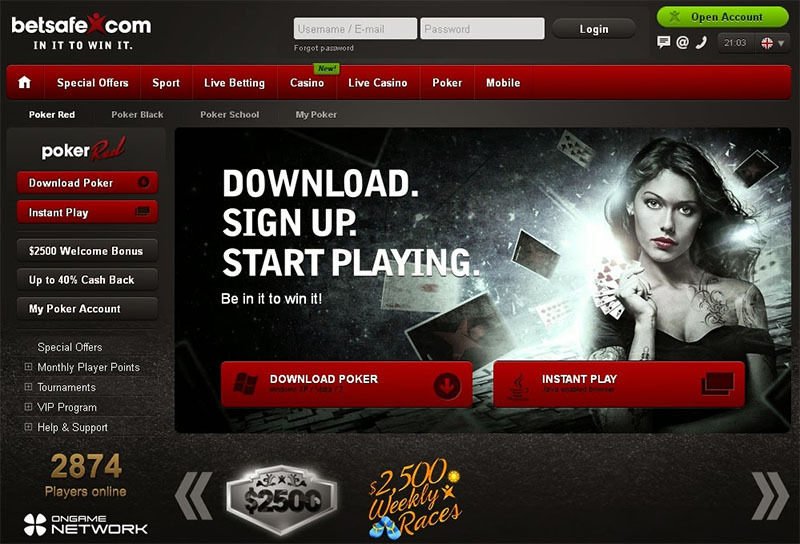 Betsafe is a part of a massive online gaming company known as Betsson. It always pays players quickly and there have never been any disputes from players. There are unique promotions every month that include rakeback, rake races and cash prizes. Betsafe is one of the most generous online poker rooms in the world. Players may transfer funds between the Microgaming poker site, casino and sports book instantly. There is nothing negative to say about Betsafe beyond that high limit players will have a hard time finding games. “Im playing on mpn on betsafe poker black for half a year. im fine with the general layout but i dont like that full scrren mode for a table is not possible. Betsafe processes deposits instantly. Withdrawals are processed in less than 24 hours. Betsafe has a 3% currency conversion fee on some transactions. Betsafe accepts Visa, Mastercard, Neteller, Skrill, Entropay, PaySafeCard, PayPal and ClickandBuy for deposits. Regional debit cards like Maestro are also accepted. Betsafe pays players via Neteller, Skrill, Entropay, PaySafeCard, PayPal and ClickandBuy. Some debit card withdrawals are allowed in certain jurisdictions. Betsafe always pays players on time and has not had any scandals. While players should always be cautious on Microgaming due to all its scandals, Betsafe Poker is one of the best options on that platform. 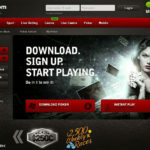 The Betsafe poker site offers five first deposit bonuses on each skin. The €1,000 bonus returns 50% rakeback. Bonuses expire 60 days after the deposit. Each bonus is all or nothing. This means that a player must rake the proper amount to clear the bonus within 60 days or it expires. Betsafe’s Microgaming skin has a simple VIP program. Players receive 30% rakeback at the first of the month based on play from the previous month. Betsafe Poker offers a wide variety of games when compared to other sites of its size. In addition to Texas Hold’em, Betsafe and its network partner Microgaming offer Omaha, Omaha Hi/Lo, Five Card Stud, Seven Card Stud, Razz and Five Card Draw. Betsafe’s Microgaming game selection offers a wide variety of No Limit Texas Hold’em and Pot Limit Omaha games. Most cash games are in euros with a few Sterling Pounds tables. All sit and gos and tournaments are in euros. No Limit Texas Hold’em cash games start at .01/.02 and run up to 10/20. Many of these tables are Blaze Poker, including all heads-up cash games. Pot Limit Omaha runs up to 2/4 and 3/6 during peak hours. Sit and gos on Microgaming start at €.30 and run up to €215, although most action is €33 or lower. All sit and gos are No Limit Texas Hold’em on the Microgaming skin. Multi table tournaments start at €1.10 and run up to €215. A nightly €11 tournament guarantees a prize pool of at least €6,000. There are two €215 tournaments on Sunday. The deep stack event guarantees €75,000, while the shorter stack event guarantees €20,000. One new feature that is offered on the Microgaming platform is that players can now change usernames. This may be done once every 30 days. A player giving 1,000 hands of real money action can change it before the 30 days. Items in red bold represent limits that have games running. Limits are in $USD. Higher limit games offer little action at Betsafe. Has there ever been a scandal at Betsafe? Betsafe is aa reputable site that has managed to avoid all scandals. Does Betsafe Poker accept U.S. players? Betsafe does not accept American players. What is the first deposit bonus at Betsafe? There are five first deposit bonuses at Betsafe Poker. They are worth €25, €75, €250, €500 and €1,000. How does the Betsafe first deposit bonus clear? The €25, €75, €250 and €500 bonuses clear at a rate of 20% rakeback. The €1,000 is worth 50% rakeback. All bonuses are all or nothing. It must be cleared in 60 days or it expires. Should I accept the €500 bonus from Betsafe? No. This bonus is the worst of them all. It requires €2500 in rake to clear. The €1000 bonus only requires €2000 in rake. Is there rakeback at Betsafe? Yes. Betsafe offers 30% rakeback to all poker players. Contact Betsafe’s player support for more information. Does Betsafe deduct bonuses from rakeback? Yes. Bonuses are deducted from rakeback at Betsafe at a rate of 30% of the bonus.